There’s this little sequel involving war and night vision goggles called Modern Warfare 2 coming out in November and it’s scaring a lot of publishers into pushing their games back into a crowded 2010. But it looks like at least one publisher is unfazed. 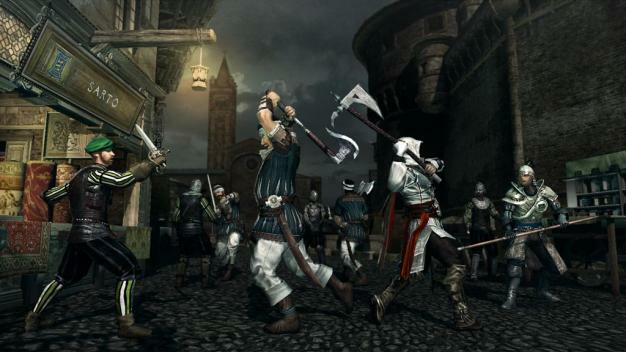 Ubisoft is releasing Assassin’s Creed II only nine days after Modern Warfare 2 and they believe that Ezio’s stealth-killing simulation is different enough to stand on its own against the first-person shooter. Ubisoft has a big challenge ahead of them, despite history’s kindness to their franchise, but thankfully they’re willing to take a chance this November assuring gamers another choice this holiday season.